Wagner – Judgement Day – Page 24 – Giant Space Lizard! Ape Advisor: That really isn’t necessary. The machine is properly equipped to deal with the unfortunate side effects of its primary death functionality. 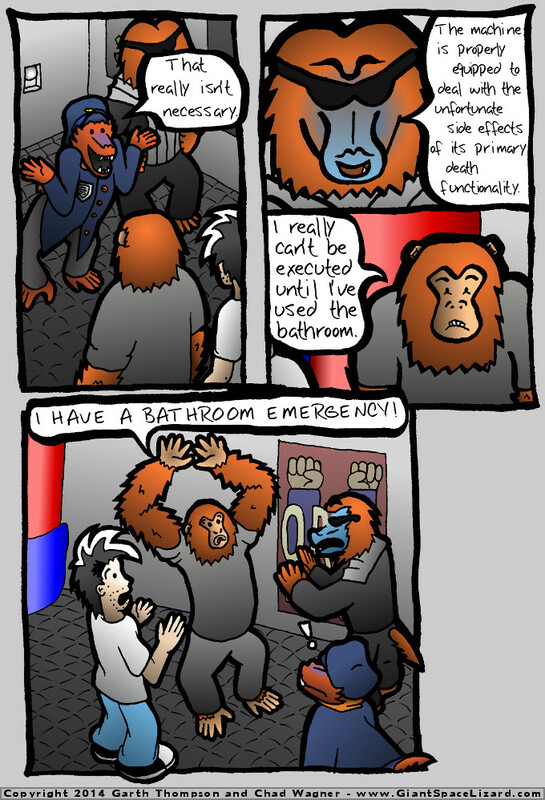 Koko: I really can’t be executed until I’ve used the bathroom. Koko: I HAVE A BATHROOM EMERGENCY!